CERTIFIED Eyelash Extension Professional (Recently worked with MISS ASIA CANADA 2018) Are you tired of fake, unnatural looking false eyelashes done by inexperienced “professionals”? When you get your eyelashes done by Lashes by Tiana, each lash is applied INDIVIDUALLY by hand, resulting in the FULLEST, most NATURAL LOOKING eyelashes that stay on TWICE as long as normal false eyelashes, saving you TIME and MONEY. FULL SET Premium Mink Eyelashes : - 77$ • Classic ( Recommended ) - 127$ • Natural Volume ( up to 80% natural lashes coverage ) - 157$ • Full Volume ( Most popular ) Get a FREE quote today by calling 647-771-3889 OR email tlashpro@gmail.com . You can also book an appointment online tlashpro.com Lashes by Tiana is a Fully Certified Eyelash Professional with over 5+ years of experience and has recently worked with Miss Asia Canada 2018. Services Offered: - Private Classic, Hybrid, Volume, Mega Volume Lash Expert. - UNLIMITED COUNT Premium Mink Eyelashes imported directly from Japan, ensuring the highest quality standards safe for your eyes. - Each set includes 4 to 6 lengths to ensure a CUSTOM TAILORED design made specifically to suit your beautiful eyes. - FREE after care kit and how to take care of your lashes to make them last TWICE as long ($95 Value) - Satisfaction guaranteed. Get a FREE quote today by calling 647-771-3889 (Text for a faster response! Less than 1 hour response time!) 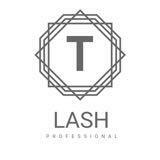 OR email tlashpro@gmail.com You can also see some of the thousands of happy clients on Instagram @tlashpro P.S. Private mobile service available for a small transportation fee started from $15. P.S.S. Get a FREE new set after 5 visits!